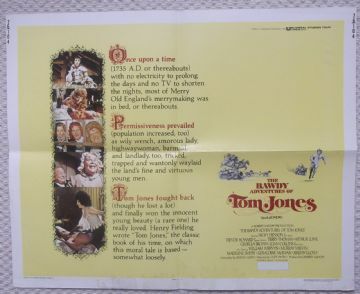 Original 1976 HS poster from the film ' The Bawdy Adventures of Tom Jones ' starring Trevor Howard, Terry Thomas and Joan Collins. The poster measures 22" x 28" and is in VG condition. The poster has border wear and some staining at the bottom.